A former colleague of Federal Reserve Chairman Ben S. Bernanke has given up trying to persuade his fellow central bankers in Sweden to cut interest rates. Deputy Governor Lars E.O. Svensson’s decision yesterday to quit when his term ends in May was the final chapter in a battle that pitted his pleas to boost inflation and support the labor market against Riksbank Governor Stefan Ingves’s warnings on credit growth. The friction prompted Svensson last month to attack as “poor” the Riksbank’s efforts to reach its 2 percent inflation target. 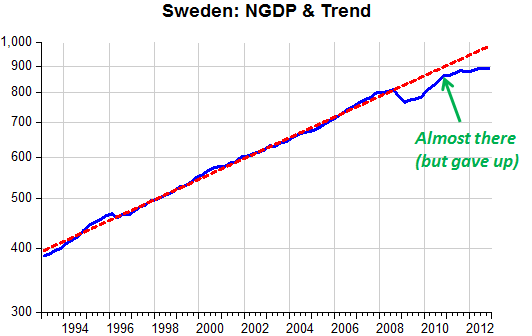 “As long as central banks are trustworthy they will be able to keep inflation expectations low,” Robert Bergqvist, chief economist at SEB AB and a former head of research at Sweden’s central bank, said in a phone interview yesterday. Given credible policy, “monetary expansion won’t create imbalances,” he said. In this recent post I go into details. 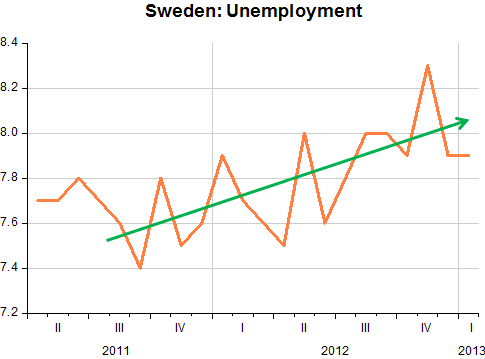 The fact is that for the past two years Svensson´s influence has been waning and the economic performance of Sweden deteriorating. 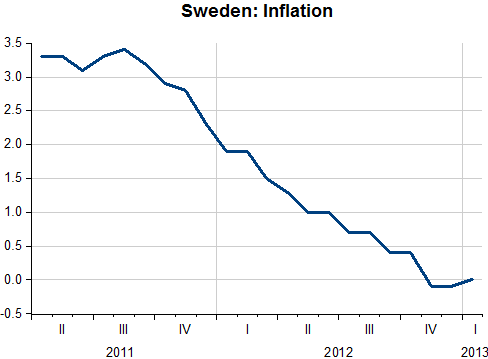 Maybe Svensson´s ‘strategic’ mistake was to advocate higher inflation. If he had talked more like a market monetarist, emphasizing nominal spending, he might have made more headway. Unfortunately he´s a ‘classical’ inflation targeter. Just last week he participated in a Boston Fed Conference and spoke in the Panel Session: How Much Relative Weight Should Policymakers Place on Employment, and How Much on Inflation?